* 1. What service(s) were you requesting? * 3. How often have you used CPD services? * 4. How would you rate the courteousness of CPD staff? * 5. How would you rate the knowledgeability of CPD staff? * 6. How would you rate the timeliness of your CPD service? * 7. How would you rate the ease and clarity of CPD processes? * 8. How would you rate the clarity and accessibility of CPD records and documents? * 9. How would you rate your overall interactions with the City Planning and Development Department? * 10. Who provided service to you? Choose up to 3 staff members. If more than 3, use "Other" box below. * 11. Please suggest any way(s) that we can improve our services. * 12. If you would like us to follow up with you about this service, please provide your contact information. 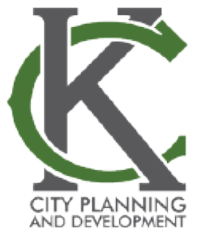 The City Planning and Development Department produces a quarterly newsletter. You can sign up for future editions of the newsletter at kcmo.gov/subscribe. Choose the City Planning option. Thank you for your time and helping to make our service better everyday.